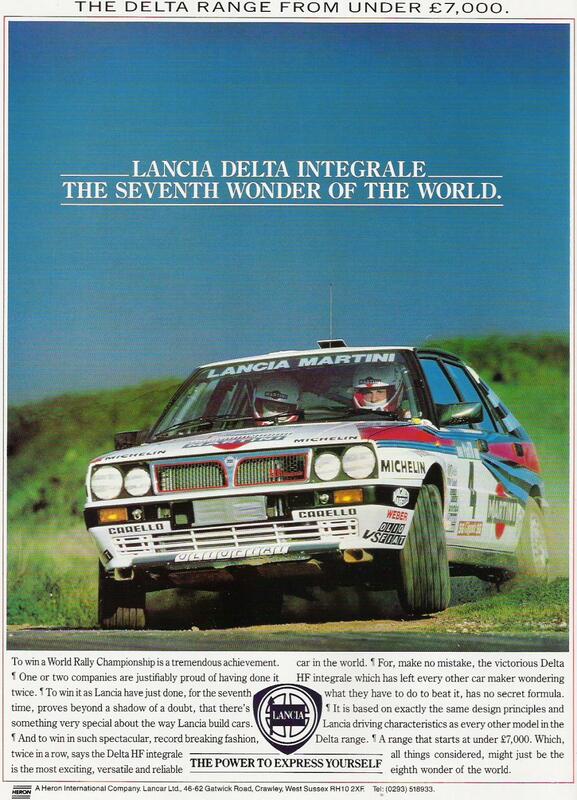 Lancia Delta Integrale single page advert. 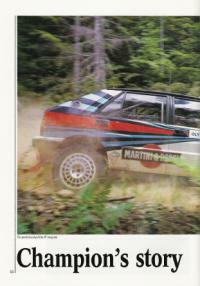 Autocar puts Penti Airikalla in Lancias HF4WD rally car. 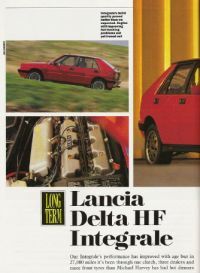 Autocar longterm test of the Lancia Delta HF Integrale. 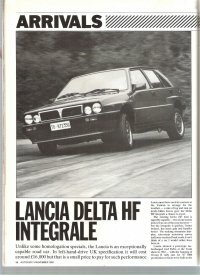 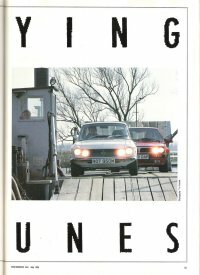 Article comparing the rallying histories of the Lancia Delta and Fulvia. 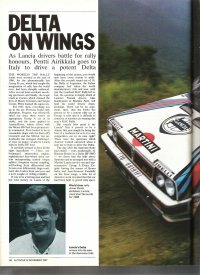 Article all about Miki Biasion at Lancia. 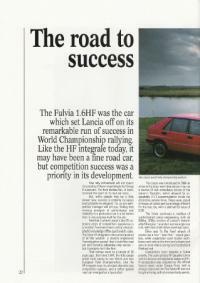 Autocar review the newly arrived Lancia Delta Integrale 8v. 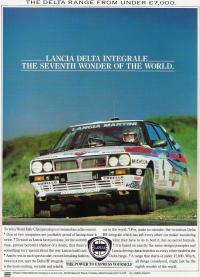 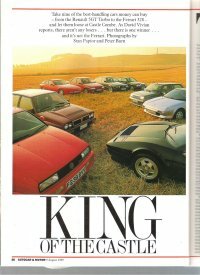 Autocars best handling car article, featuring the Lancia Delta Integrale.